The Laziest Vegans in the World: Fair Trade Month! October is Fair Trade Month and I'm happy to be reviewing a ton of socially responsible products. Katie from Fair Trade USA went out her way to send me some of the best Fair Trade products that are also Vegan. For those of you who aren't familiar with concept of Fair Trade, it's basically a movement to alleviate poverty in developing nations, while ensuring consumers quality products that improve lives and protect the environment. So when you see a product with the Fair Trade Logo, you can be assured that the product is a good one! 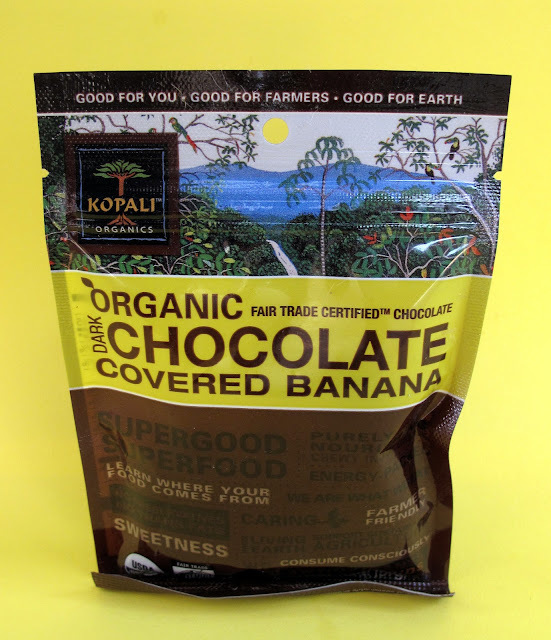 Kopali Organic Chocolate Covered Banana. These are nom city! I ate the whole package right away. Well, after I took the picture anyway. They are little banana bits, which are easier to eat when compare to large banana slices. They taste wonderful and I hope to see them in the store soon! Alter Ego Dark Quinoa Dark Chocolate. Who knew? Quinoa and chocolate are AMAZING! The quinoa gives the chocolate the perfect crispness. Sort of like a Crunch bar, but totally Fair Trade chocolate. Buy it ASAP. 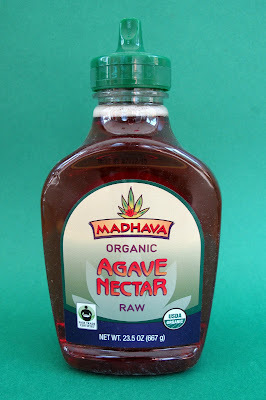 Madhava Organic Raw Agave Nectar. 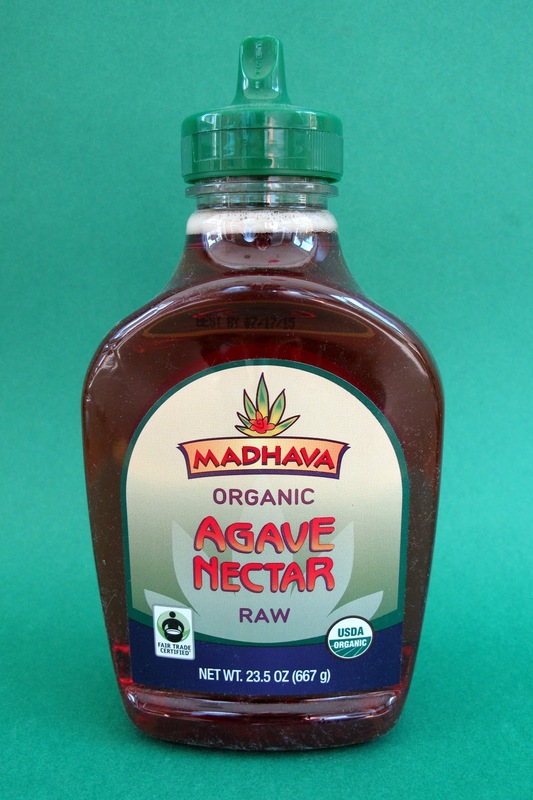 Agave is a great sweetener that is usually on the counter at my house. I personally don't use it, but my coffee/tea drinking girlfriend swears by it. Sweet Riot Chocolate Kickin' Coconut Bar. Another amazing Organic chocolate bar, but this time it's got coconut! Oodles of sweet delicious coconut covered in dark chocolate. Another ASAP buy! Rishi Organic Pu-Ern Ginger Tea. A spicy, potent, gingery tea. Great for Sunday morning breakfast! Honest Tea Black Forest Tea. 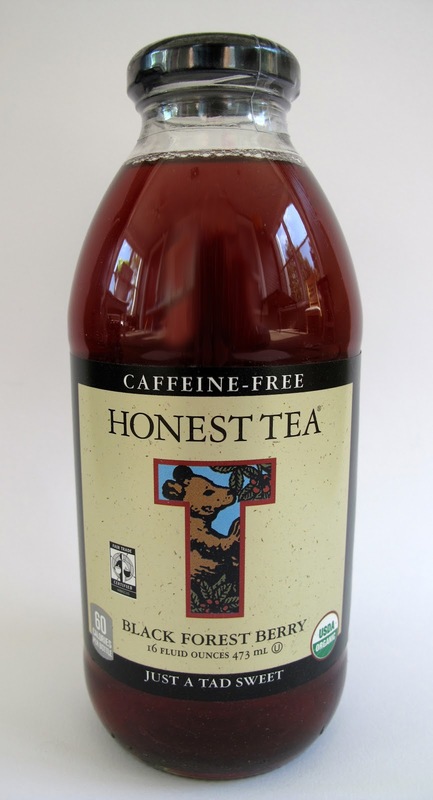 A delightfully berry tinged non-caffeinated iced tea. Great when you don't want anything overpowering sweet. And if that wasn't enough, Coconut Bliss was kind enough to include a free coupon for giveaway! (**Updated 10/16** Fair Trade USA will also send you an above product of your choice plus a Fair Trade Tote Bag!) All you have to do is comment down below which of these products you are most excited to try. I will randomly pick a winner, Wednesday at 4pm CST. Also, look for a Vegan MoFo Fair Trade giveaway soon! Thank you to Fair Trade USA for promoting these wonderful products. Remember to look for the Fair Trade label! i am obsessed with tea! that ginger tea looks amazing, id love to try it! Wow John! This is such an amazing giveaway! I really like fairs trade stuff,and I always try to choose it when it's an option. Especially for chocolate, since there are so many unfair labor practices in the chocolate industry.as for the amazing snacks, I would be all over this chocolate bananas! They sound crazy good! I'm in the mood for dessert so the Sweet Riot Chocolate Kickin' Coconut Bar looks amazing. Way to promote fair trade products! I feel like I don't often have the funds to buy fair trade but I really should more often. As for favorites, I cannot decide between the Ginger Tea and the Sweet Riot Kickin' Coconut chocolate bar. Cannot and will not. The product I want to try the most is, hand down, the chocolate covered banana. It just sounds too delicious. Yum ! I'd like to try the chocolate-covered banana, but I'm also so sad that you didn't post a picture of what they actually look like! My eyes want to eat them. In my pregan days, Crunch bars were my fave, so I'm looking forward to trying the Alter Ego Dark Quinoa Dark Chocolate for sure. Duh...the coconut chocolate bar, of course!!!!! 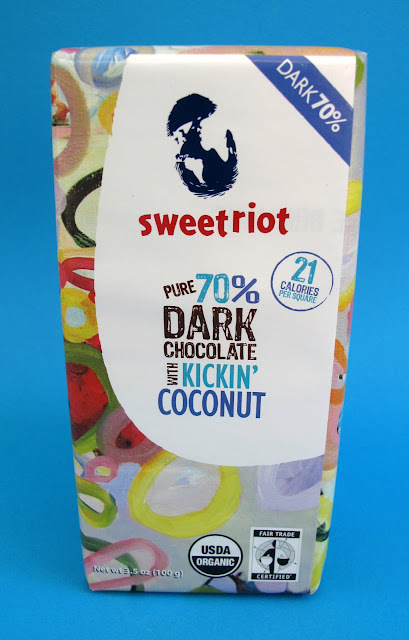 I am most excited to try the Sweet Riot Chocolate Kickin' Coconut Bar! Chocolate covered bananas, BY FAR!!! Most definitely the coconut/chocolate bar: my two favorite things! Add fairly traded and vegan and it doesn't get much better. They all look delicious, but I think the chocolate banana bites would be at the top of my shopping list! I'm interested to try the dark chocolate quinoa bar! 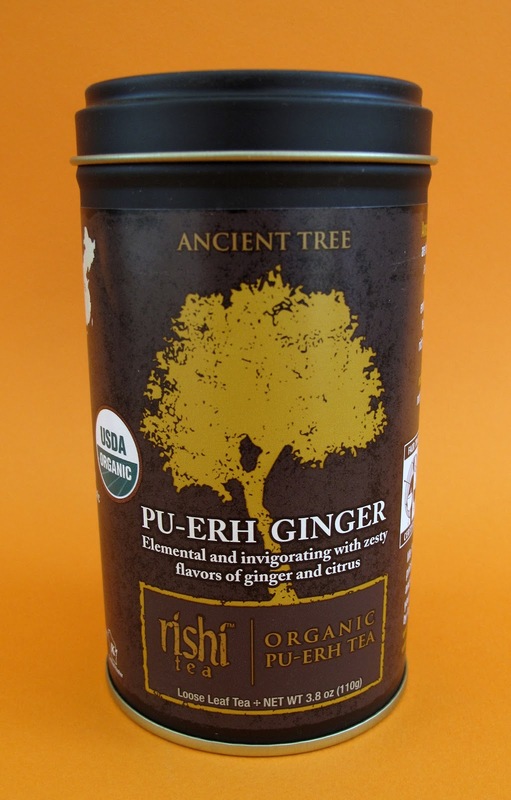 I am a tea fanatic, so I would like to try the Rishi Organic Pu-Ern Ginger Tea! i'm interested in trying that dark chocolate quinoa bar. i've never heard of such a thing! Being a huge fan of chocolate , I think I would like to try the Sweet Riot Chocolate Kicking' Coconut Bar or Chocolate Covered Bananas. Delish!! Yum. 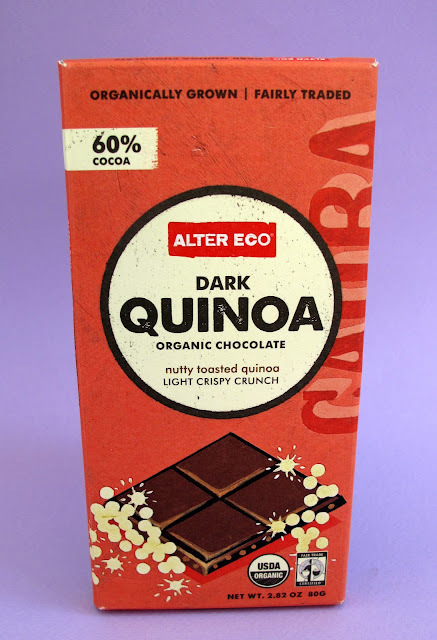 I must try the Alter Ego Quinoa Dark Chocolate! I want to try the chocolate covered bananas, and all the other Kopali things, and eat all the other things! The Alter Ego Quinoa Dark Chocolate looks delish! I'd love to try it! Definitely the Alter Ego Dark Quinoa Dark Chocolate, no question! omg chocolate covered bananas!!! Bananas!!! I really wanna try that ginger tea. I sip on tea all day. Wow - those Luna and Larry's Chocolates look amazing!!! Oh man, so good! I'm a sucker for anything ginger...but that quinoa chocolate sounds awesome too! The sweet riot chocolate looks awesome!! Sorry I missed this one. If you ever have another fair trade product giveaway or giveaway with less than 60 entries 5 days til the due date, please stop by my blog and submit it, and I'll help promote it. definitely need to try those choco covered bananas! This is such an amazing giveaway! I really like this stuff,and I always try to choose it when it's an option. Especially for chocolate, I would like to try this chocolate bar. This sounds so delicious.